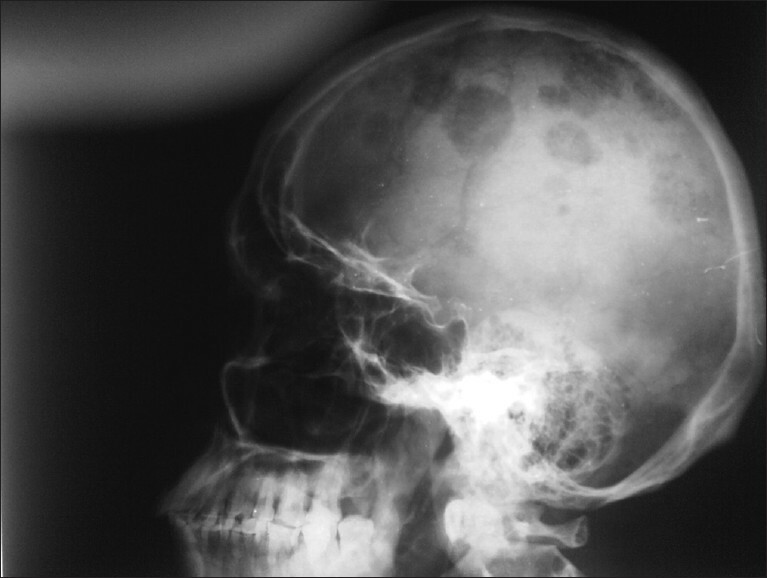 Background: Head and neck sarcomas are relatively rare tumors, accounting for only about 2% of all head and neck malignancies and for 4 to 10% of all soft tissue sarcomas. 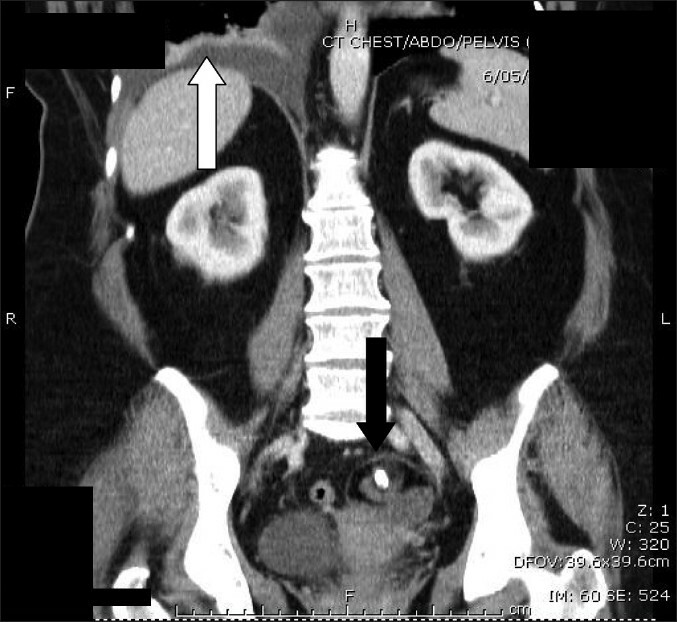 The rarity and more over the heterogeneity of these tumors make rigorous study of their clinical behavior difficult. Aims: We analyzed our single center experience of adult soft tissue sarcomas of the head and neck. Settings and Design: Our study included 27 patients of adult soft-tissue sarcomas of the head and neck who presented to our center between January 1996 and December 2005. Materials and Methods: Patient characteristics, clinical features, treatment modalities, clinical course, and long-term outcomes and its determinants were analyzed. 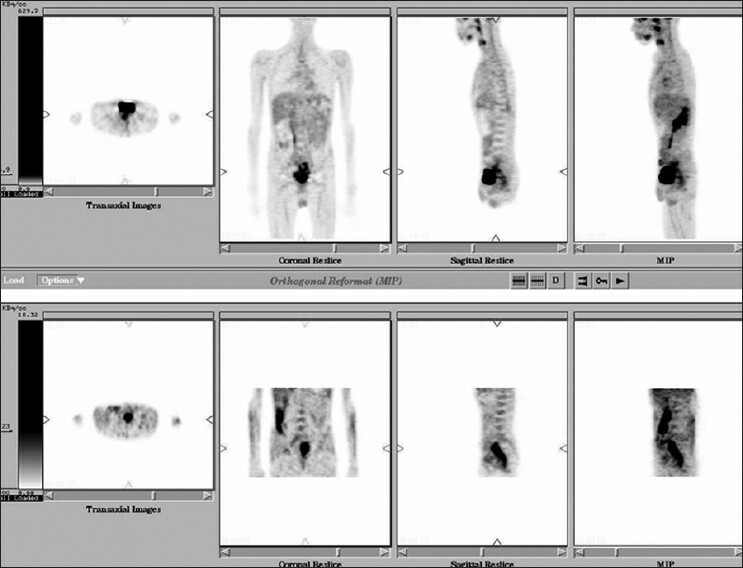 Results: Surgery in the form of wide excision aimed at achieving negative margins was the main modality of treatment and adjuvant radiation was used in selected patients. The five-year disease-free survival was 64.5% and overall survival (OS) was 68%. 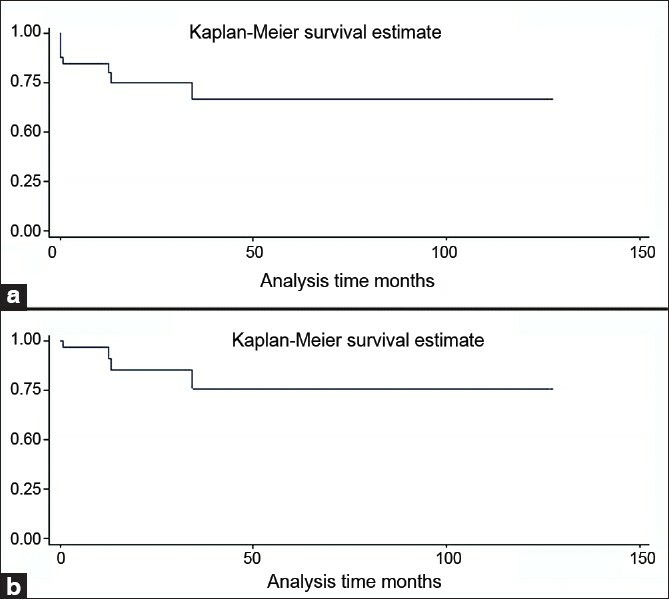 Of the multiple potential factors analyzed, univariate analysis showed grade, margin status, and adjuvant radiation to be the important prognostic factors for the survival. The multivariate analysis however only showed margin status and adjuvant radiation to be prognostic. Conclusions: Surgery with negative margins is a key to long-term survival. Complete resection with adjuvant radiation in selected cases potentially decreases local recurrences and improves OS. Background: We investigated the physico-biochemical changes in saliva and its relation to quality of life (QOL) in head and neck cancer patients following conventional radiation therapy (RT). Materials and Methods: 53 consecutive head and neck cancer patients underwent conventional RT using telecobalt photons. We analyzed objective sialometry and sialochemical parameters of salivary gland function and a physician reported Oral Assessment Protocol to assess the patients' QOL during (baseline, 3 and 6 weeks) and post RT (3 and 6 months). Statistical analysis was done using SPSS software (version 15.0; SPSS, Inc., Chicago, IL, USA). Results: Stimulated salivary flow rates had shown a consistent decline during and in post-RT analysis (P < 0.001). A significant correlation was seen between mean salivary flow rates at 6 months post-RT and mean salivary electrolytes and amylase levels during the same period (P < 0.001). Mean global QOL scores had significantly worsened during RT and were still significantly poorer at 6 months than initial pre-RT levels (P < 0.001). Further, significant correlation was established between salivary pH values with global QOL scores at 6 months (P = 0.05). Conclusions: Radiation-induced hyposalivation invariably persists and correlates with poor global QOL scores seen during and following conventional RT. Post RT, there is a trend for biochemical reversal toward pre-irradiation levels suggesting a subsiding inflammation or a probable functional recovery. Background: Breast cancer is one of the most common cancers in Iranian women. The p53 gene plays a principal role in genomic stability, and its function varies according to polymorphisms. The aim of our study was to determine the relationship between the intron3 16bp duplication polymorphism of the p53 gene and breast cancer in Iranian women. Materials and Methods: We performed a case-control study among 145 patients with invasive ductal carcinoma of the breast and 145 controls in Isfahan, Iran. The distribution of the intron3 16bp duplication polymorphism was determined by polymerase chain reaction (PCR). The relationship between clinicopathological data and the PIN3 polymorphism was examined using chi-squared analysis. Results: A significant difference was observed in the polymorphism variants in breast cancer specimens compared with controls (P < .001). Among the cancer patients, 59.9% were below the age of 50 years; and 67.5% of the patients in this group had the intron3 16bp duplication polymorphism. 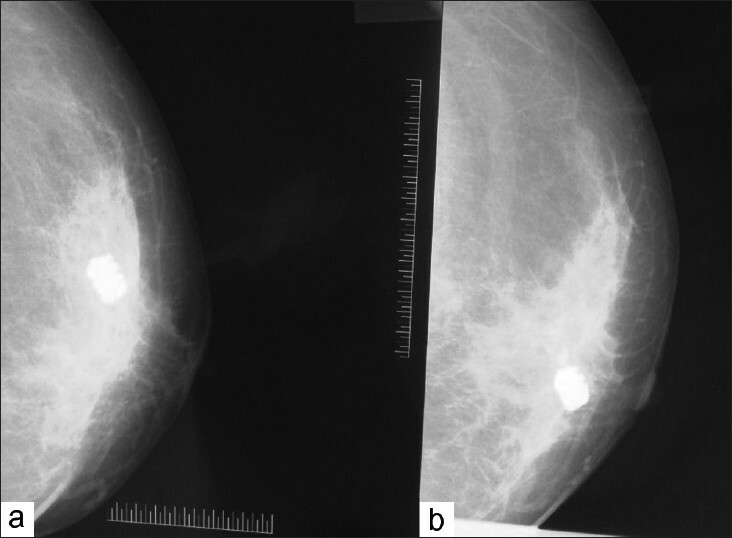 Conclusions: PIN3 Ins 16bp duplication polymorphism is a genetically predisposing factor for breast cancer development in Iranian women and may be causal in patients under the age of 50 years. Background: Epigenetic changes, geography and environmental factors do surpass the genetic factors in the development of breast cancer. This study investigates the association of reproductive factors with the breast cancer in this context. 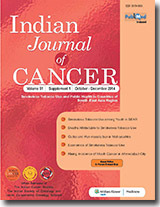 Objective: To detect the association of reproductive risk factors with breast cancer in an urban set up at central India. Study Design: Matched paired community-based case-control study. Materials and Methods: The study was conducted for a period of a year from October 2008 to August 2009 in Bhopal (MP). Demographic data and reproductive risk factor related information were collected using structured questionnaire. Data analysis was done by Epi-info and SPSS 16. Results: History of using oral contraceptive pills (OR = 3.02, 95% CI: 1.28-7.11), history of not having breastfeeding (OR = 3.62, 95% CI: 1.29-10.16) and family history of breast cancer (OR = 3.98, 95%CI: 1.06-14.826) were associated significantly with the occurrence of breast cancer in multivariate analysis. Conclusions: The findings of the present study suggests that positive family history of breast cancer and history of using OCP may be the epigenetic factors promoting the occurrence of breast cancer while breastfeeding reduces the possibility of acquiring breast cancer. Background: Pediatric acute lymphoblastic leukemia (ALL) is a biologically heterogeneous disease and socioeconomic and environmental factors are considered to be an important determinant of its immunophenotype. The aim of this analysis is to study the time trend in the immunophenotype of pediatric acute lymphoblastic leukemia (ALL) cases in our geographic setting. Materials and Methods: A total of 639 new pediatric ALL cases immunophenotyped during 1989-2009 forms the basis of this analysis. Representative bone marrow or peripheral blood of these patients was immunophenotyped flowcytometrically using an extensive panel of monoclonal antibodies. Results: During early phase of our study we noticed a relative excess of T-ALL and a paucity of common acute lymphoblastic leukemia (C-ALL) in contrast to western data. Over a period of 20 years we witnessed a gradual reduction in pediatric T-ALL cases and a proportionate increase in C-ALL cases. Conclusion: We find that this change of pattern is synchronizing with the socioeconomic and industrial development prevailing in our geographic setting and suggest a possible link between the predominant immunophenotype of pediatric ALL cases and the environmental and socioeconomic factors prevailing in that locality. Background: There are very limited data reported about acute promyelocytic leukemia (APL) from developing countries. We reviewed the clinical course and treatment outcome of APL patients treated at our center. Materials and Methods: Between January 1997 and December 2007, 33 patients with APL received induction therapy using ATRA + daunorubicin (n = 26), As = 26), As2O3 (n = 4) or daunorubicin + cytosar ( n = 3). Results: Median age was 30 years with a male to female ratio of 1.68. Twenty seven patients (82%) achieved CR. Complications during induction therapy were febrile neutropenia (33%), ATRA syndrome (30%), bleeding (58%), and diarrhea in (6%) patients. During induction and follow up, 8 (24.24%) patients died, 6 (18.18%) during induction, 1 (3%) during maintenance, and 1 (3%) after relapse. Median OS is 128 months while median EFS is 61 months. Four patients relapsed at a median time of 61 months. At the time of censoring, 25 patients were alive at a median follow up of 13 months (range 0.6 -127 months); 21 in CR1, 3 in CR2, 1 in CR3. Comparisons among the risk groups (CR and relapse rate and survival statistics) were not statistically significant. Conclusions: APL is a highly curable malignancy. Our results confirm the findings of the published literature from larger cooperative studies from the West. We may further improve outcome with quicker diagnosis and more efficient supportive care system. Aim of the Study: The aim of this study was to evaluate platelet enzyme activity in cases of leukemia. Materials and Methods: Platelet enzymes glucose-6-phosphate dehydrogenase (G6PD), pyruvate kinase (PK) and hexokinase (HK) were studied in 47 patients of acute and chronic leukemia patients, 16 patients with acute myeloid leukemia (AML)(13 relapse, three in remission), 12 patients with acute lymphocytic leukemia (ALL) (five in relapse, seven in remission), 19 patients with chronic myeloid leukemia (CML). Results: The platelet G6PD activity was significantly low in cases of AML, ALL and also in CML. G6PD activity was normalized during AML remission. G6PD activity, although persistently low during ALL remission, increased significantly to near-normal during remission (P < 0.05) as compared with relapse (P < 0.01). Platelet PK activity was high during AML relapse (P < 0.05), which was normalized during remission. 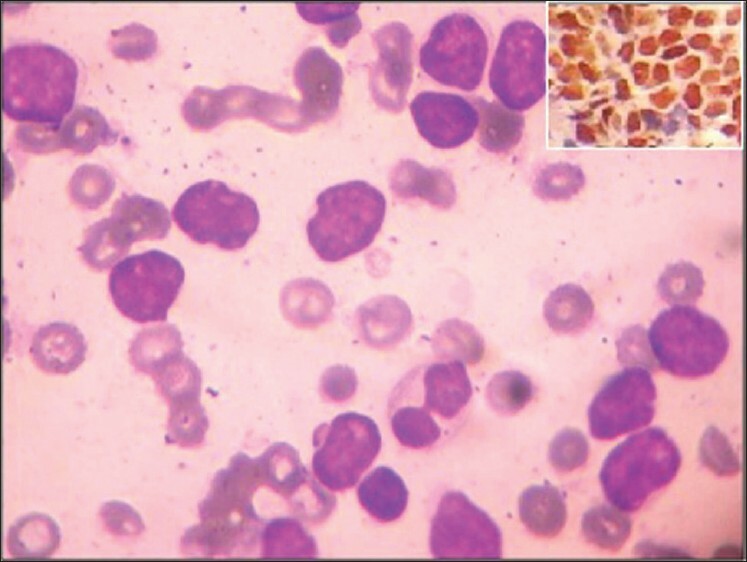 Platelet HK however was found to be decreased during all remission (P < 0.05). There was a significant positive correlation between G6PD and PK in cases of AML (P < 0.001) but not in ALL and CML. G6PD activity did not correlate with HK activity in any of the leukemic groups. A significant positive correlation was however seen between PK and HK activity in cases of ALL remission (P < 0.01) and CML (P < 0.05). Conclusions: Both red cell and platelet enzymes were studied in 36 leukemic patients and there was no statistically significant correlation between red cell and platelet enzymes. 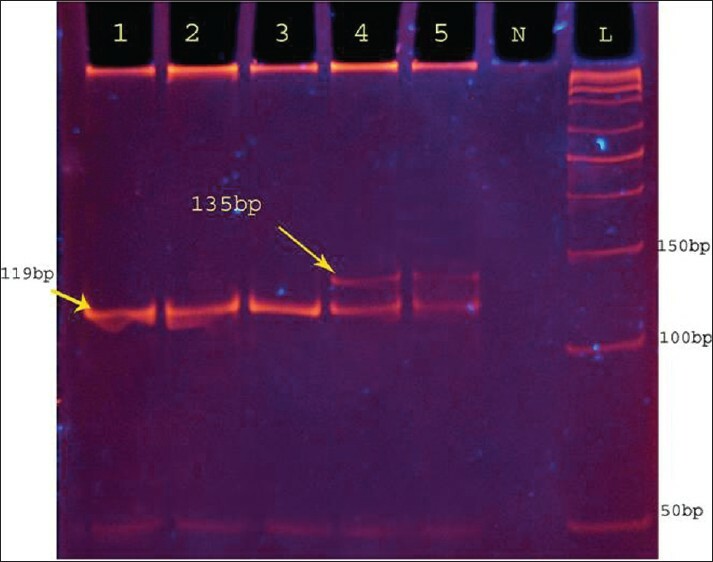 Platelet enzyme defect in leukemias suggests the inherent abnormality in megakaryopoiesis and would explain the functional platelet defects in leukemias. Background and Aims: Malignant peripheral nerve sheath tumors (MPNSTs) are the leading cause of mortality in patients with neurofibromatosis type-1 (NF1)); however, they may also arise sporadically. Differences in magnetic resonance imaging (MRI) features between MPNSTs arising in NF1 subjects versus non-NF1 subjects have not been studied before. The accuracy of MRI in distinguishing MPNSTs from benign peripheral nerve sheath tumors (BPNSTs) has also been debated. The objective of this study was to determine the potential differentiating MRI features between (a) NF1-related and non-NF1-related MPNSTs and (b) MPNSTs and BPNSTs. Materials and Methods: We retrospectively evaluated the MRI studies of 21 patients (12 NF1 subjects and nine non-NF1 subjects) with MPNSTs and 35 patients with BPNSTs. 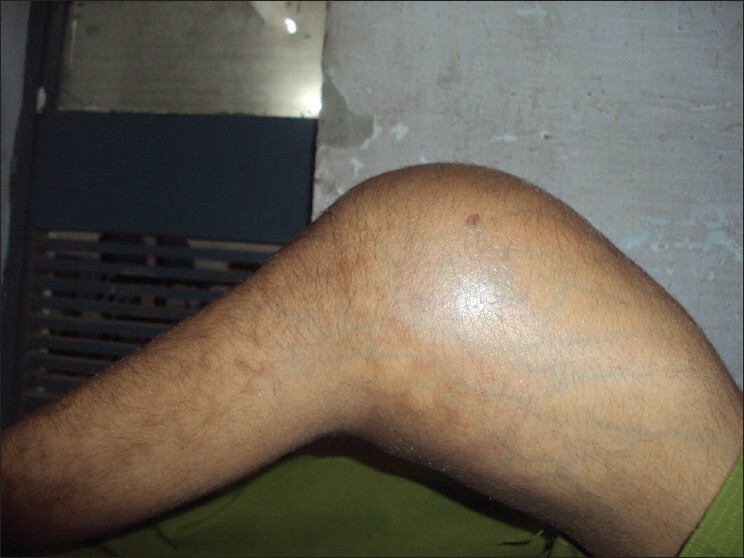 In all studies, the lesions were assessed in terms of size, margins, T1 and T2 signal characteristics, internal architecture, pattern of contrast enhancement, invasion of adjacent structures and necrosis/cystic degeneration as well as for the presence of tail-, target- and split-fat signs. Results: MPNSTs of NF1 subjects occurred at an earlier age and displayed a higher incidence of necrosis/cystic degeneration compared with MPNSTs of non-NF1 subjects. Compared with BPNSTs, MPNSTs were significantly larger at the time of diagnosis and demonstrated a higher incidence of ill-defined margins (specificity 91%, sensitivity 52%) and invasion of adjacent structures (specificity 100%, sensitivity 43%). Conclusions: Differences exist between NF1-related and non-NF1-related MPNSTs regarding the age of occurrence and MRI appearance. In the MRI evaluation of peripheral nerve sheath tumors, the presence of ill-defined tumor margins and/or invasion of adjacent structures are highly specific for malignancy. 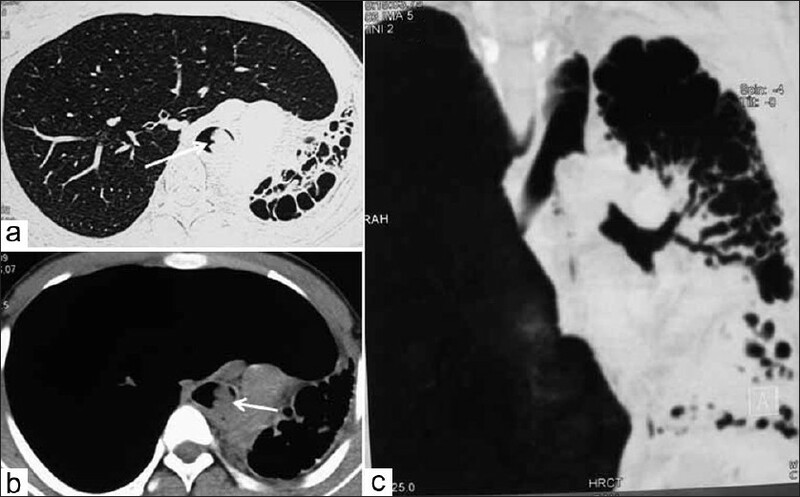 Background: Metastasis of soft tissue sarcoma most commonly occurs to the lungs. 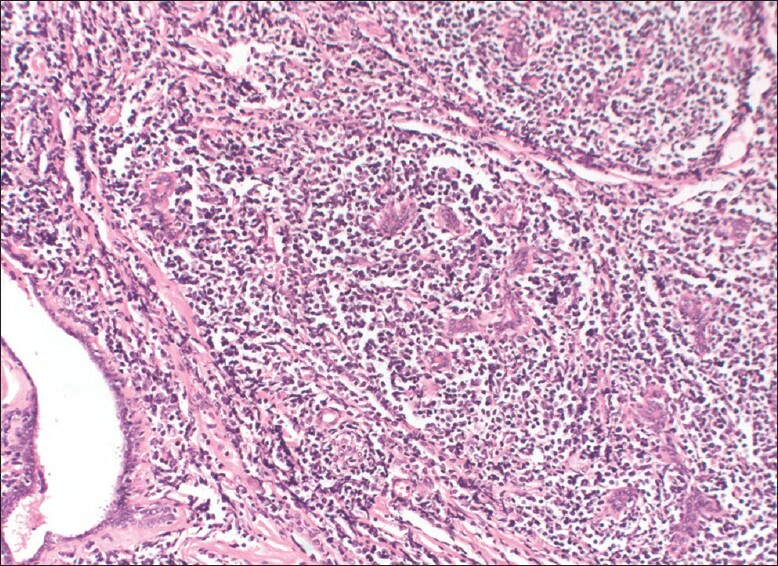 There are very few studies on histology of pulmonary metastatectomy and hardly any wherein the histology of the primary tumor has been compared with the metastasis. Aims and Objectives: To review histologically all metastatic sarcomas to lung and compare with the primary where available. 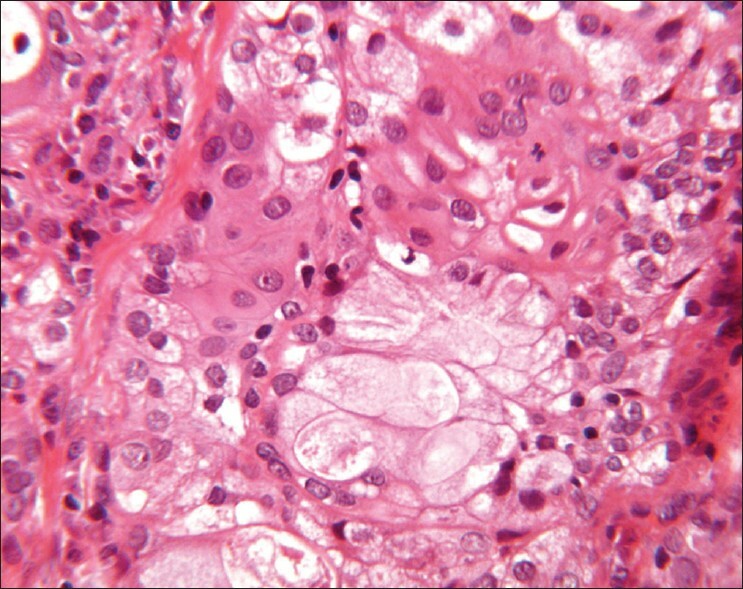 Materials and Methods: Ninety-five patients with pulmonary metastases from sarcoma were analyzed histologically for type of sarcoma, chemotherapy-related changes, and changes in adjacent lung. Various clinical parameters like laterality, multiplicity, and interval between primary and metastasis were also studied. Results: Osteosarcoma constituted half of the metastatic sarcomas (48 cases, 50.5%) followed by synovial sarcoma (16 cases, 16.8%) and high grade spindle cell sarcoma-NOS (10 cases, 10.5%). 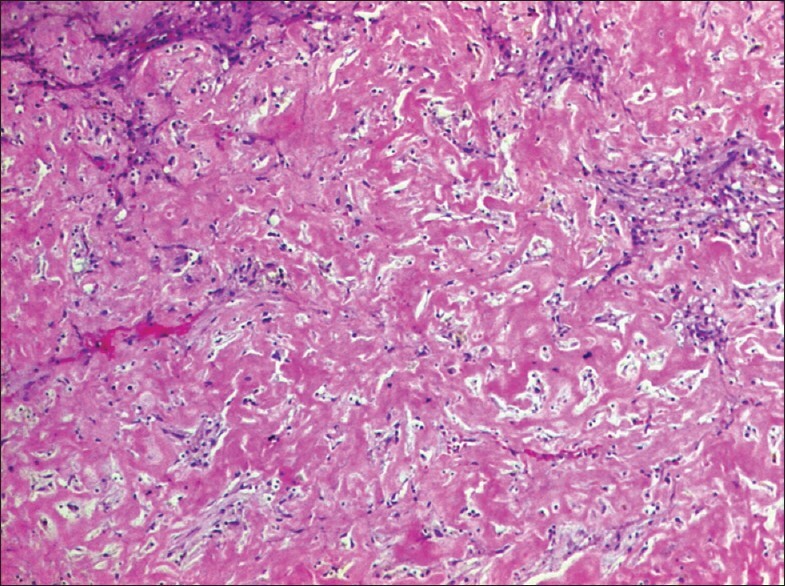 The histology of primary and the metastases was similar in 60% of cases of osteosarcoma. Conclusions: Osteosarcoma is the commonest metastatic sarcoma to the lung. There is often a change to fibroblastic histology in patients of conventional osteosarcoma treated with chemotherapy. Purpose: Transarterial chemoemblization (TACE) is the most common treatment modality for treating patients of large unresectable hepatocellular carcinoma (HCC). Extrahepatic collateral arterial supply (ECS) to these large tumors is not uncommon. This study was designed to assess the significance and outcome of TACE in patients of HCC with ECS. Materials and Methods: A total of 85 patients of HCC of Barcelona clinic liver cancer (BCLC) stage B/C who fulfilled the following inclusion criteria--Child's A/B cirrhosis, normal main portal vein and tumor bulk involvement less than 50% of the liver-were included. TACE was done using cisplatin 100 mg, doxorubicin 50 mg and 20 ml lipiodol followed by gelfoam embolization. Presence of extrahepatic supply to the tumor was looked for in suspected cases. When the collateral supply to the mass was documented, additional chemoembolization through the extrahepatic feeding collateral was attempted. 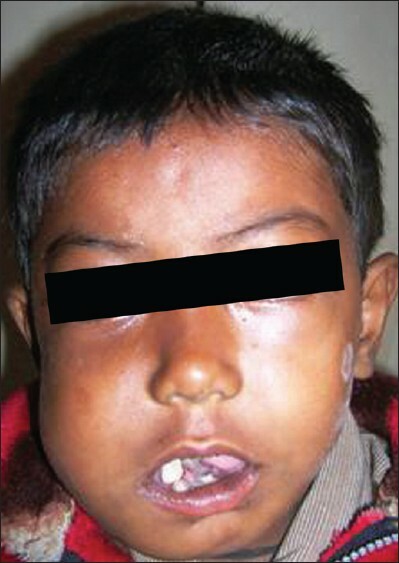 If this was unsuccessful, then the treatment was completed by percutaneous acetic acid ablation (PAI). Results: Eight patients showed the presence of additional extrahepatic supply to the liver tumor. 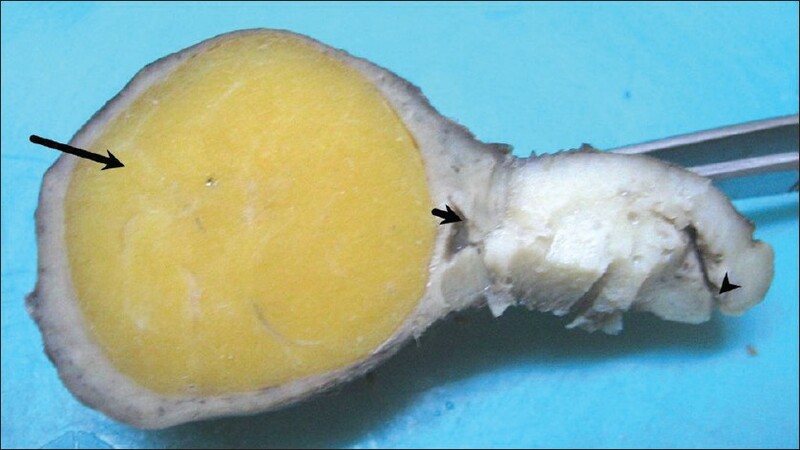 The sources included inferior phrenic artery, intercostals, internal mammary artery, omental arteries, gastroduodenal artery and branch of the superior mesenteric artery. Successful chemoembolization through these collaterals was achieved in five cases and complete response was noted on follow-up. 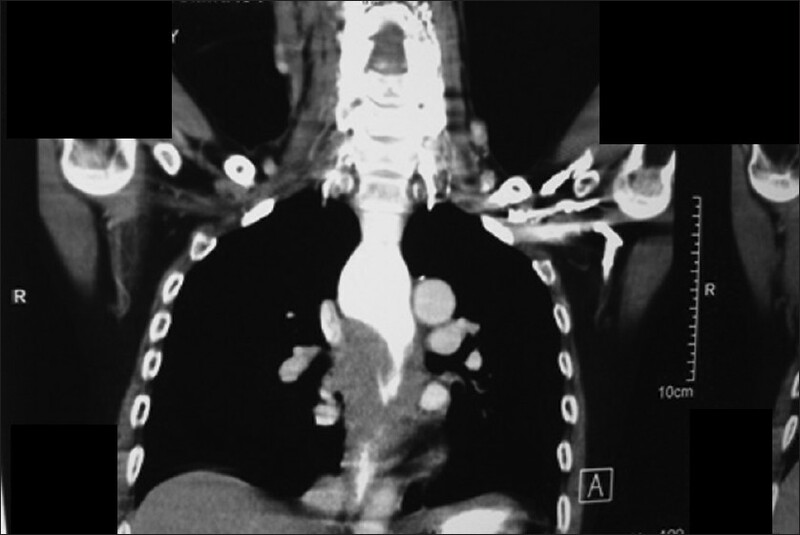 In the remaining three cases, chemoembolization could not be done and PAI was performed subsequently. Conclusions: Hepatocellular carcinoma having extrahepatic collateral supply requires additional chemoembolization through the collateral to enhance the efficacy of TACE failing which an alternative locoregional therapy of percutaneous ablation may be resorted to. Sentinel lymph nodes (SLNs) are the nodes in direct communication with the primary tumor and are therefore the first group of nodes to be involved in lymphatic metastasis. Though the role of SLN biopsy is well established in cancers of the breast and melanoma, its role in gastrointestinal malignancies is still evolving and controversial. In this paper, the literature is reviewed with respect to the status of SLN biopsy in gastrointestinal malignancies. One of the major signaling pathways that determine the tumor aggression and patient outcome in pancreatic cancer is the transforming growth factor-beta (TGF-ß) pathway. It is inactivated at various levels in pancreatic cancer and plays a dual role in tumor initiation and progression. 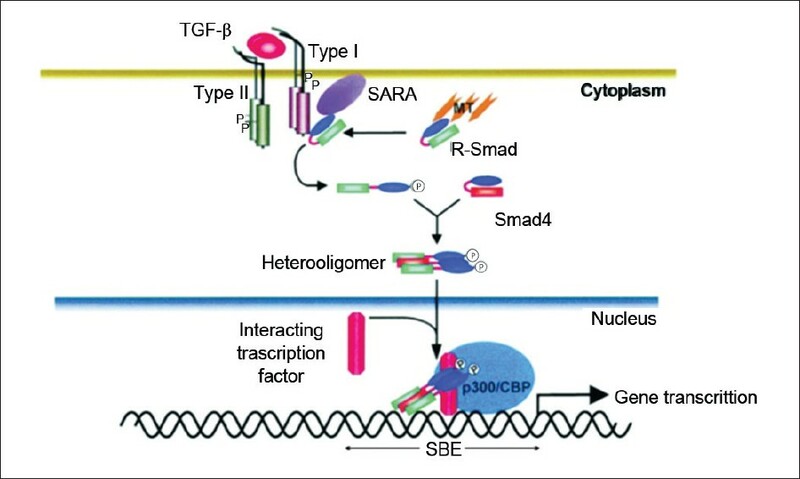 The Smad family of proteins transduce signals from the TGF-ß superfamily ligands that regulate cell proliferation, differentiation and death through activation of receptor serine/threonine kinases. This review discusses the structure, function and regulation of various participating Smad family members, and their individual roles in determining the progression and outcome of pancreatic cancer patients, with a special emphasis on Smad4.